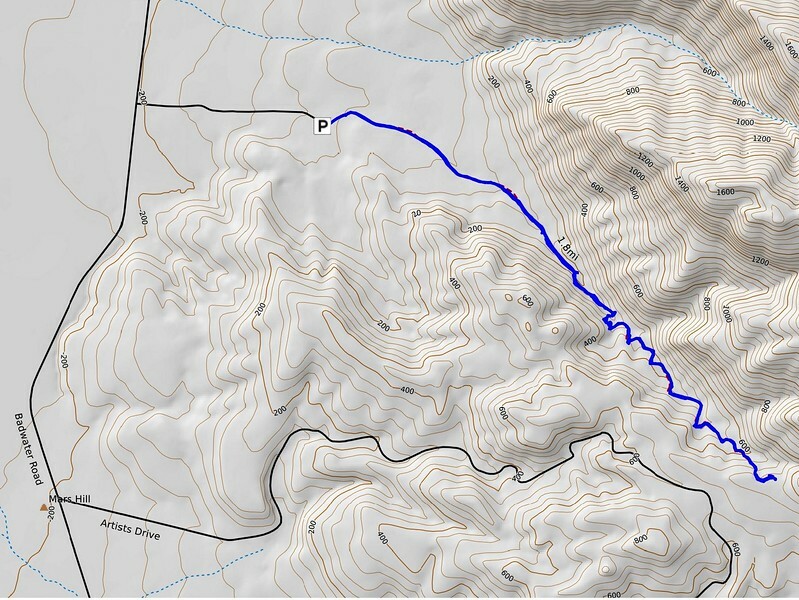 After yesterday’s adventure on Mount Perry, we decided that a fun, but shorter, hike was called for. 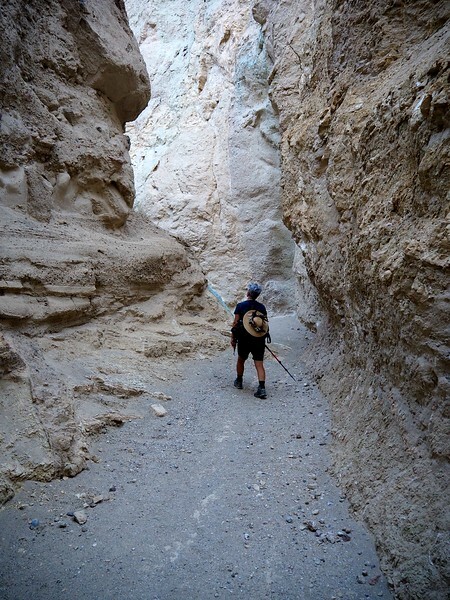 The less than four mile round-trip hike up Desolation Canyon, whose trailhead is just four miles from Furnace Creek, seemed ideal (and it was). 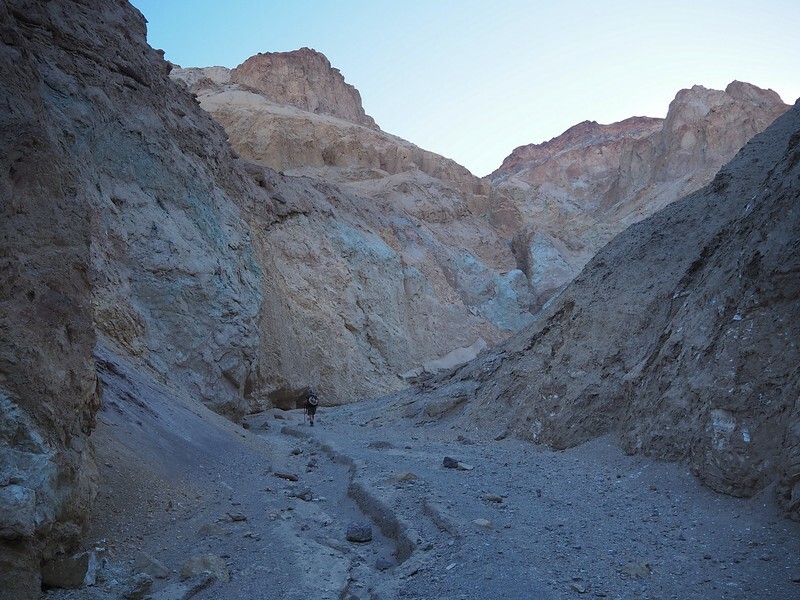 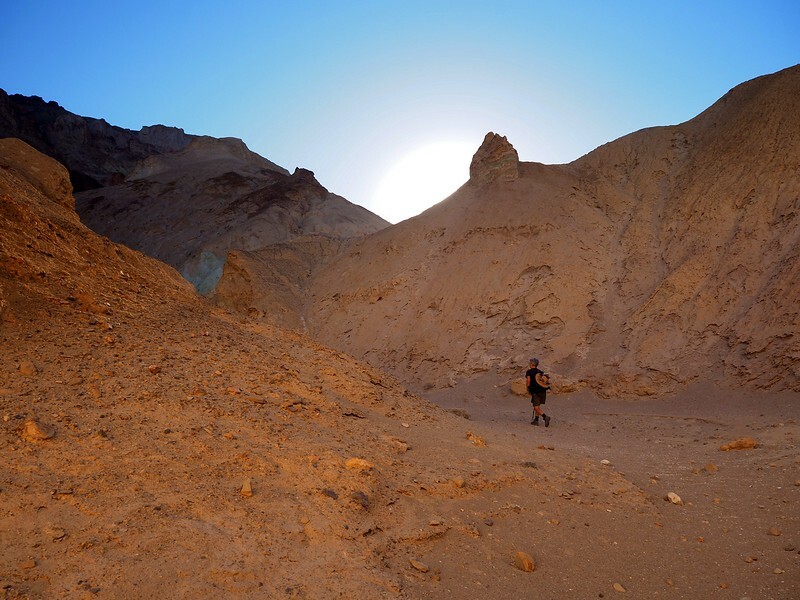 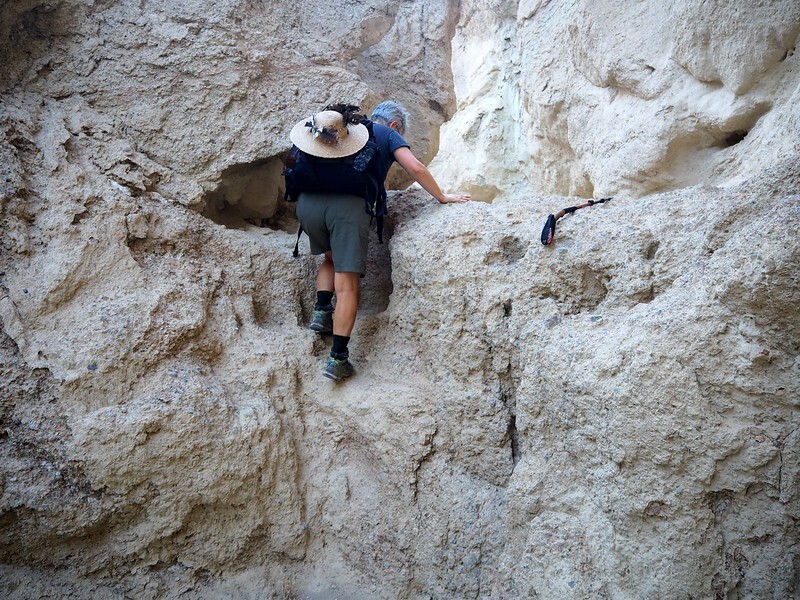 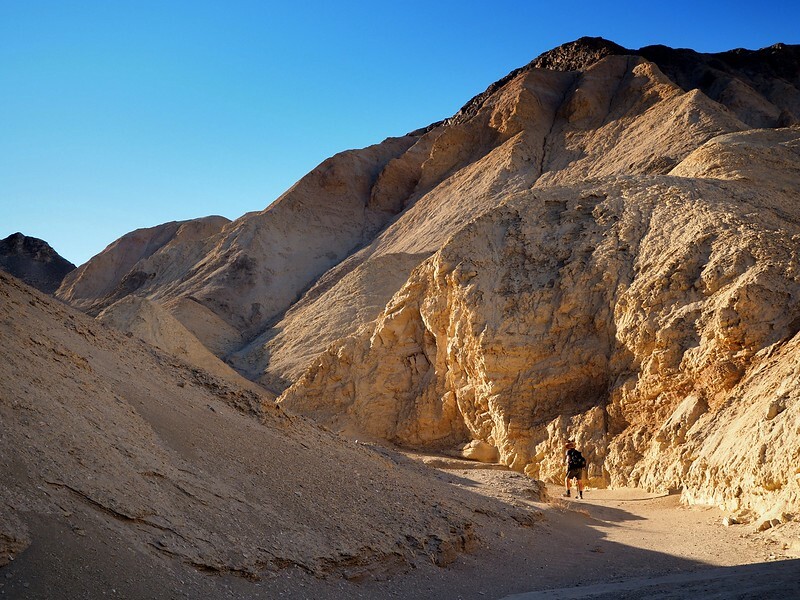 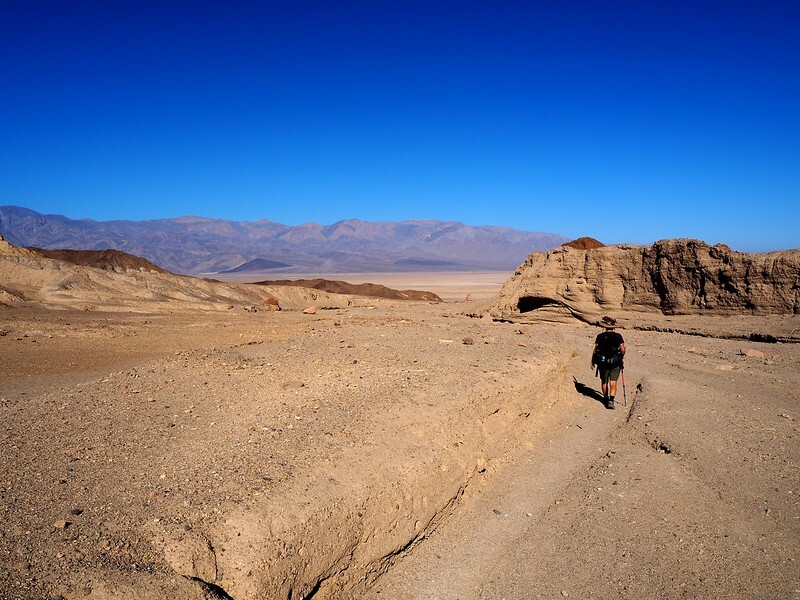 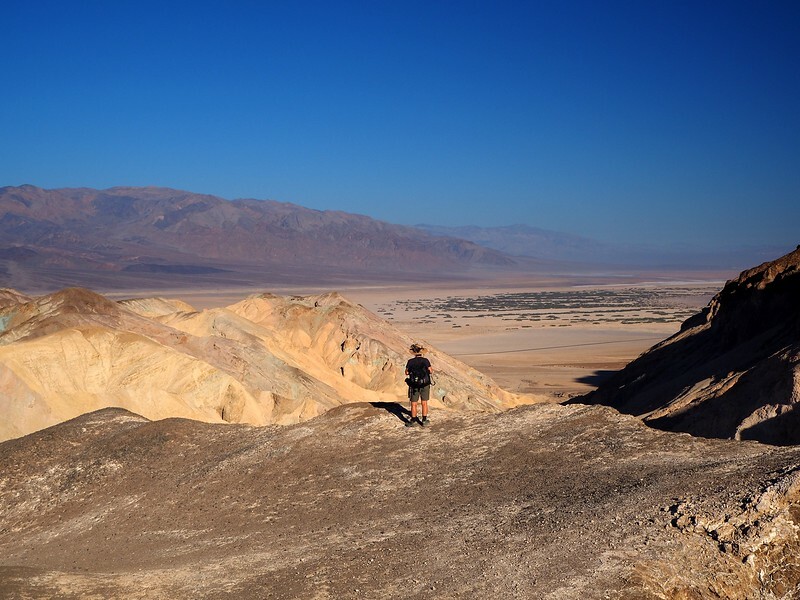 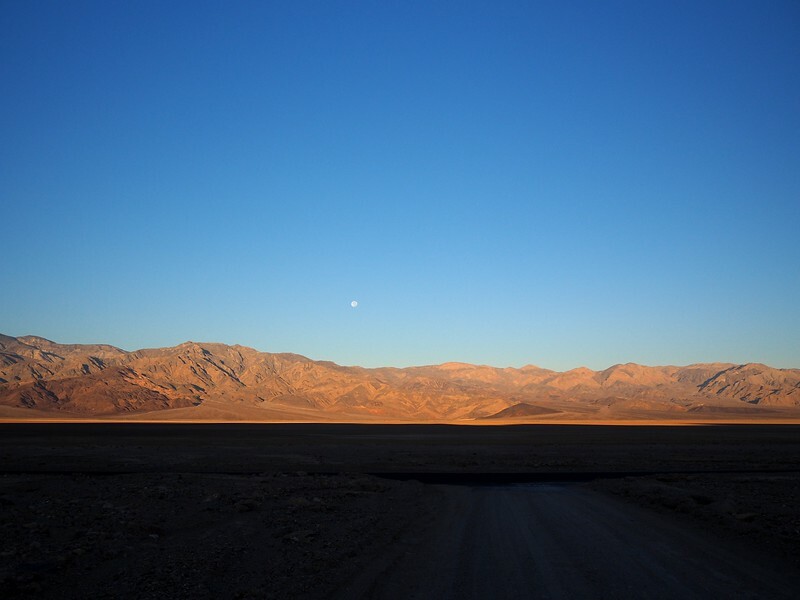 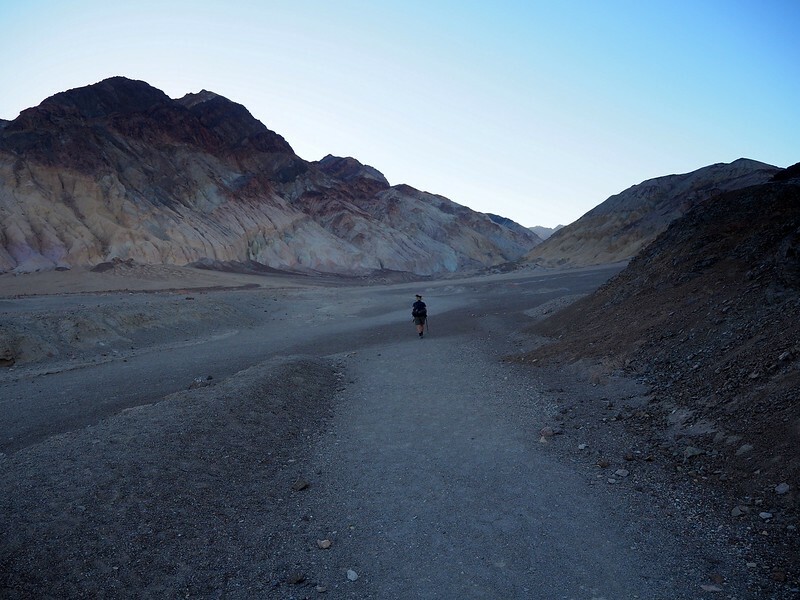 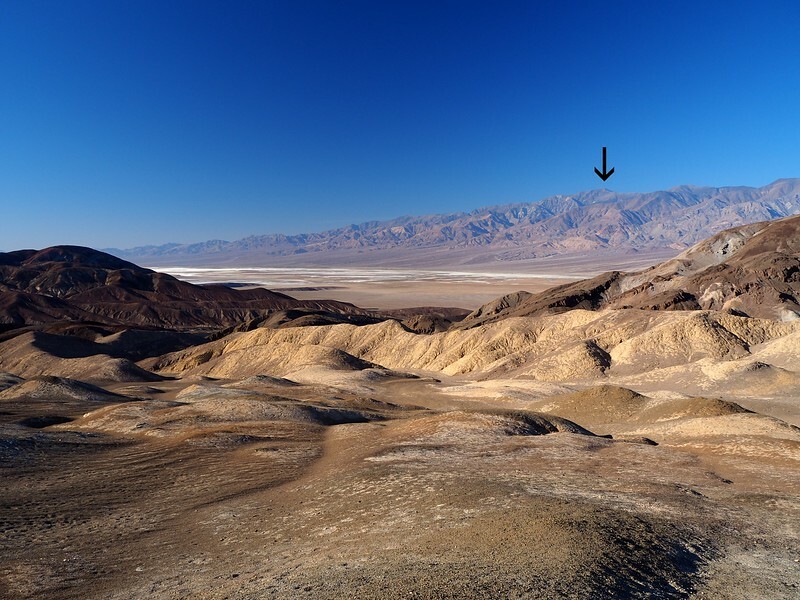 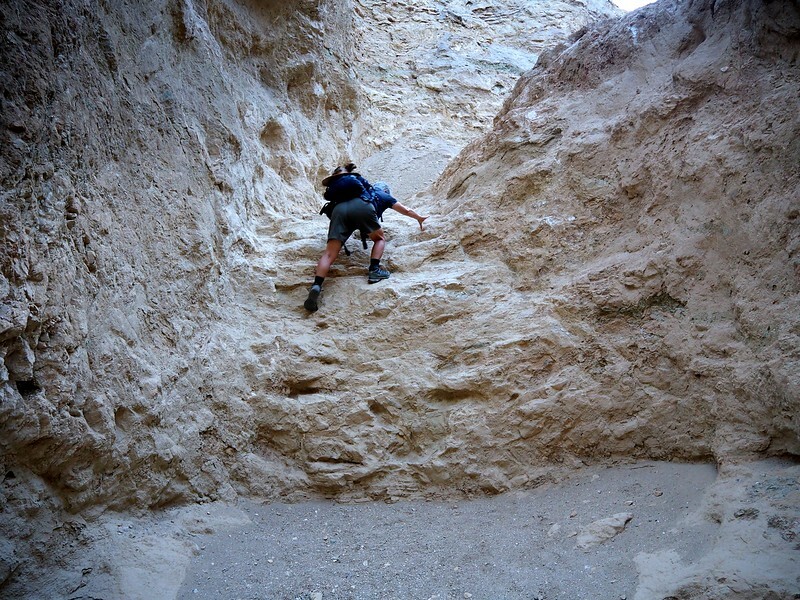 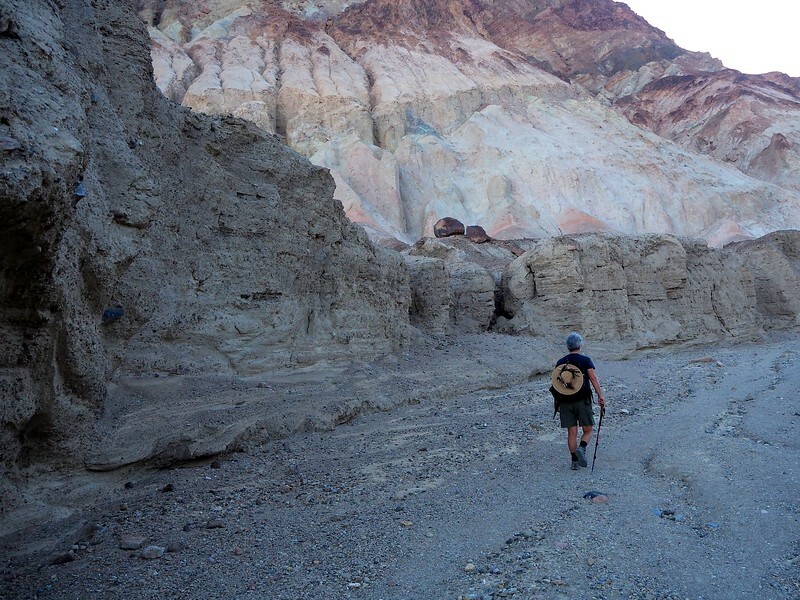 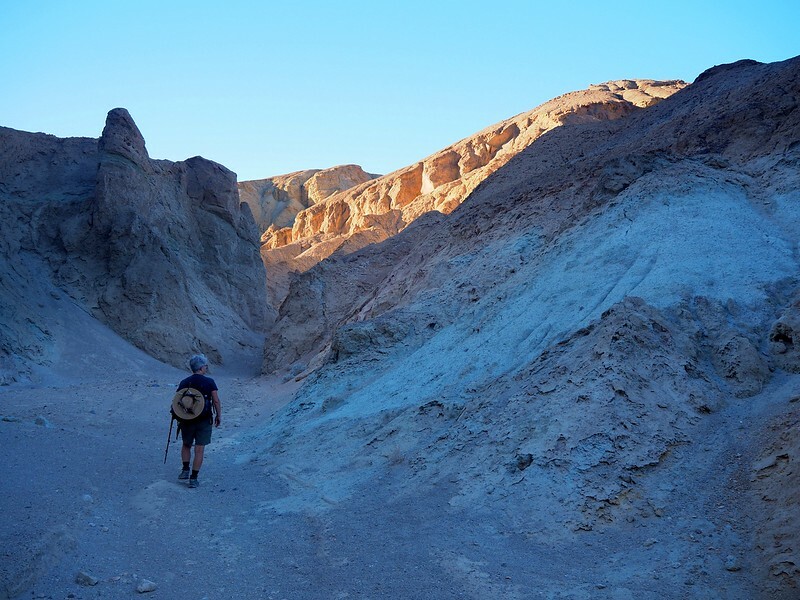 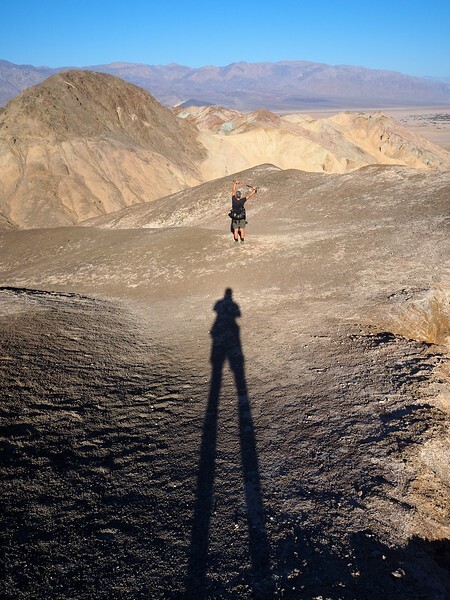 This hike reaches into the Black Mountains and features a few narrow sections (but not true “slot” canyon narrow), a touch of scrambling, some colorful rock formations, and ends with a nice view out over Death Valley. 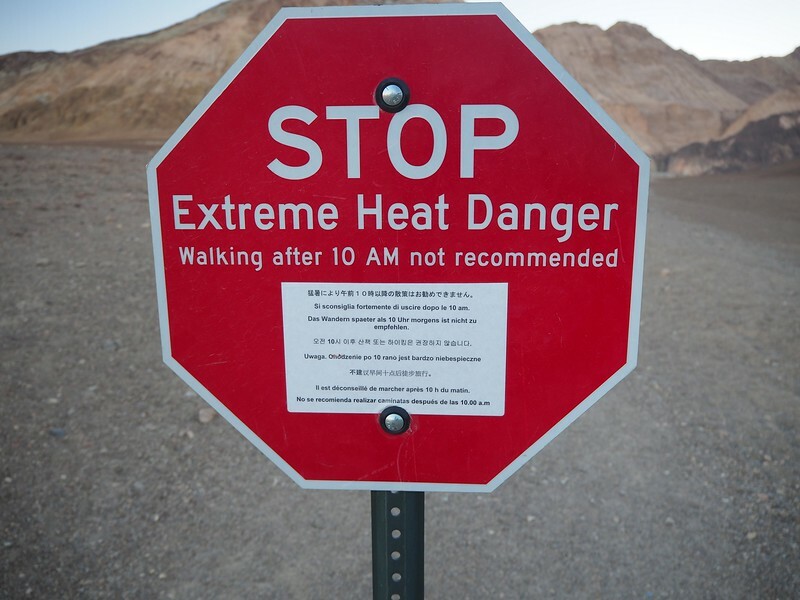 We were able to complete it before the air temperature got much above 85º F (29º C) – it would eventually top out at 110º F (43º C). 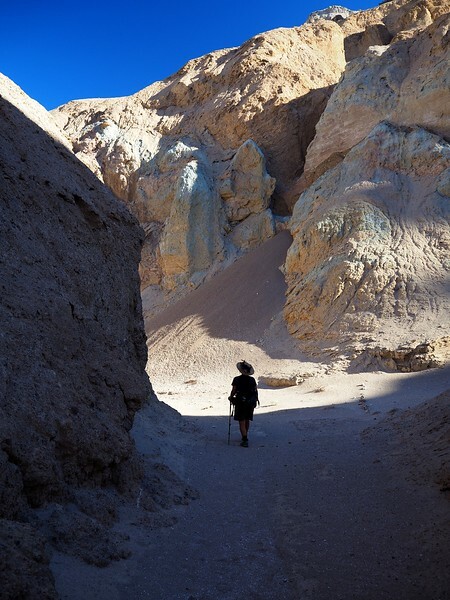 When the weather is cooler, you’re advised to do this hike in the afternoon, when the sun highlights the colorful rock formations. 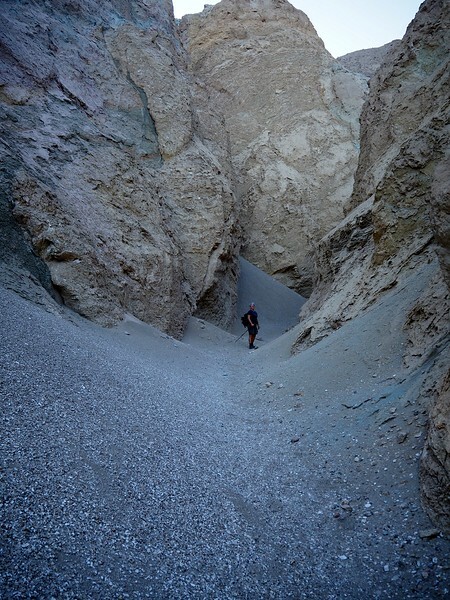 That would have been nice but we were happy to be in the shade for most of the hike.